Nettigo offers tilt sensors with 30° and 60° (exactly from -30° to +30°) operating range. Tilt sensor is a kind of switch. The difference between it and regular switches is that the current starts to flow through it when it’s tilted. Such a sensors are commonly user in car alarm system They are monitoring car’s position and triggering the alarm when the car is dragged by a wrecker truck, for example. Utilizing the sensor isn’t difficult. It’s similiar to every ordinary switch. Only a free Arduino digital pin is needed. 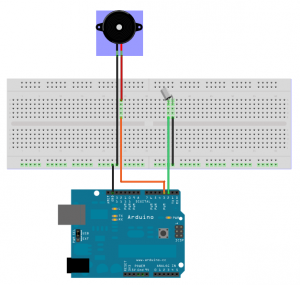 When the pin is in input mode, its state remains unknown (random) until a certain voltage is applied to it. Applying a “GND” sets it into “LOW” state, and providing 5V causes “HIGH” state. If we have the sensor wired to a digital pin and “GND”, we know the state will switch to “LOW” when the current will begin to flow. When the current doesn’t flow, the state is going to be reversed – “HIGH”. Presently, the state is undefined. Thus, to define the state we will use built-in “Pull Up” resistor. It causes setting a pin into “HIGH” state when no voltage is applied to it. 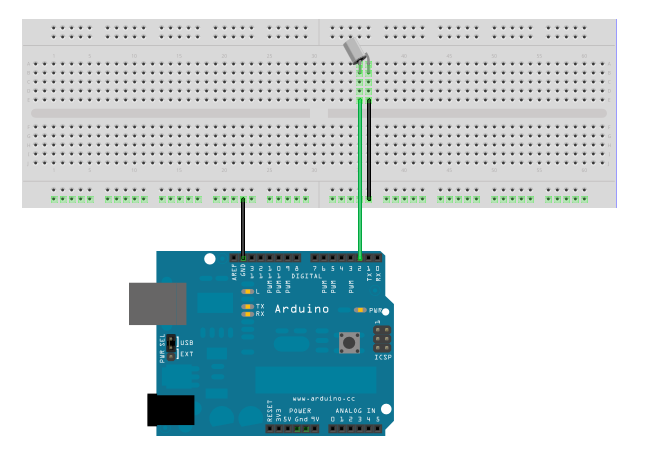 We’re taking advantage of the sensor reading the state of a selected digital pin. First, we must set the pin as “INPUT” in “setup” section. And activate internal “Pull Up” resistor. 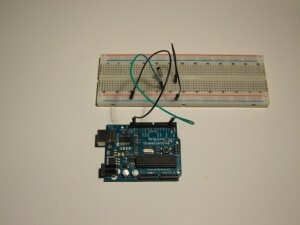 After that, in “loop” function you can read pin’s state and thus the sensor’s position with “digitalRead” function. Example program, lighting the “L” diode up during a tilt. As every man well knows, a woman holds in her purse only treasures. These are so valuable, that no-one is allowed to browse it. In order to protect poor ladies from nosy people I resolved to build a purse alarm. I assembled the elements as on the following schematic. 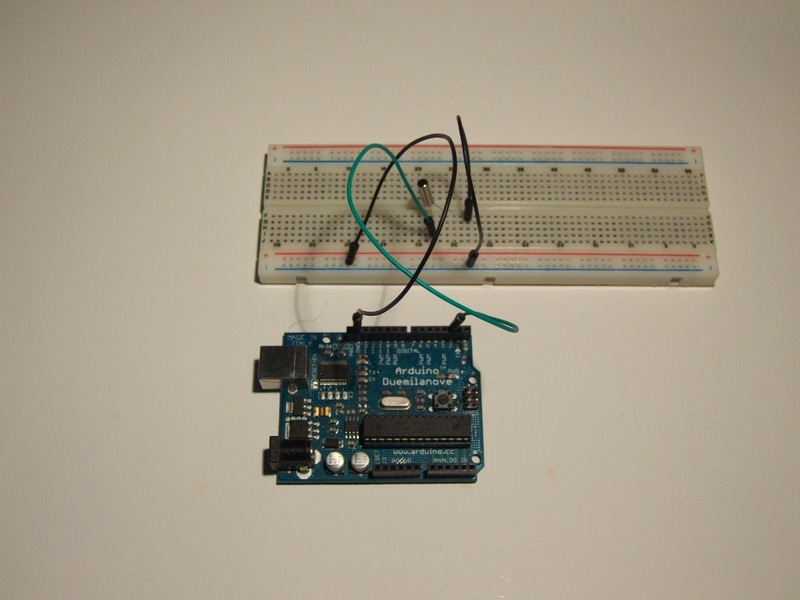 I used pin 2 as sensor’s input, pin 3 as output for piezo buzzer and pin 13 for LED diode. The code isn’t much different from the previous, except from additional sound procedures. First of them is “tone”, turning the sound on. The second – “noTone”, turning it off. It’s easily noticeable that the alarm is too sensitive and every shock (even foot stamping) causes “screeching” of the buzzer. This would not appeal to the purse’s owner. What is the difference between shocks and poking around in a purse? The easiest way to distinguish them is switching speed of sensor. Shakes are switching it in thousandths of a second, while moves caused by a lifter – from tenths of a second to a few seconds. So, the time in which the sensor turns on must be counted and, if it’s longer than 0.1 s (moving the purse), the alarm should be triggered. 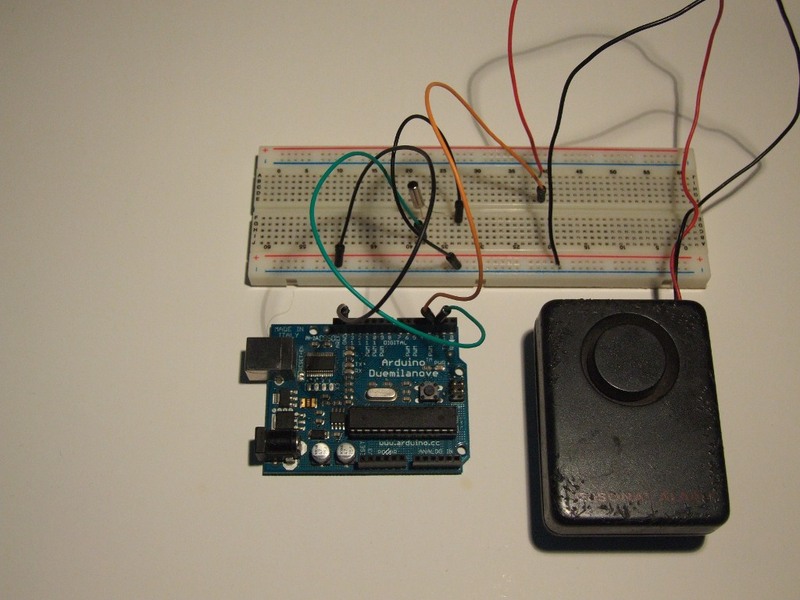 For this case, I used “millis” function, which returns how many miliseconds have elapsed from turning Arduino on. It could be applicated to storing the time from turning the sensor on. When a previously set value is reached, the alarm is turned on. Our purse alarm has one more disadvantage. It turns off immediately when the purse returns to its position. This is not a way real alarm works! Professional alarm systems also have varied sounds. Here we will use “millis” function again. In the first place we are going to count, how much time was elapsed since triggering the alarm. It will be set off only when a certain amount of time will elapse, in order to deter and attract attention more effectively. In the second place I employed time measuring to check the duration of signal tone, so as to switch it cyclically between high and low pitches. This way our purse alarm will be better distinguished from other noises. This is only one of many applications of tilt sensor. If you have any ideas or questions – leave a comment or use the mail.